It is no secret that home schoolers, particularly in Texas, are more politically involved, informed, and active than the average citizen. However, it is also important to realize that home schoolers are not immune to the culture of apathy that has swallowed most of our country over the last century. To understand how home schoolers could impact the Texas election cycle, we have to review a few numbers. How many home school voters are there? A runoff election happens when no candidate gets over 50 percent of the vote in a given race. The two highest-ranking candidates will then advance to the runoff election, which will be held this year on May 24 in Texas. In the last two Texas runoff elections (2012 and 2014), Texas has averaged 932,000 voters in the Republican runoff. Here is the catch: In Texas most estimates place the number of home schooled families around 120,000 to 150,000. Based on the average number of parents per home, this could place the total number of eligible voters among active home schoolers at close to 285,000, with the amount potentially going well above that when factoring in recent home school graduates. If all of the home schoolers eligible to vote turned out to the runoff election on May 24, home schoolers would make up approximately 30 percent of the voting populace statewide. The Secretary of State reports that 73.2 percent of eligible voters are actually registered. This percentage could likely be 75 to 80 percent or higher because of politically active home schoolers. If we assume an 80 percent registration rate, we would have 228,000 registered, active home school voters statewide. Even this smaller number of currently registered home schoolers still represents 24 percent of the likely voter turnout for the runoff election. Have you ever worked on a group project in school? Few things are more frustrating than approaching the project and discovering that your team–the ones who were supposed to be helping you construct a great project–didn’t do their work or did the work the wrong way. Suddenly, you have to figure out how to construct your project inside of what could easily turn into a hostile, counterproductive environment. Here is the bottom line–we all know in theory that our children will be the future of America. That much is relatively obvious. The issue is how parents are going to set the bar for them, whether they will do their half of the project or, as a recent comedic video showed, simply leave the kids to clean up the mess and suffer the consequences. It is critically important that home schoolers show up to vote in this election. We have an opportunity to be the deciding force in this runoff election and to elect home school champions in many levels of Texas government. 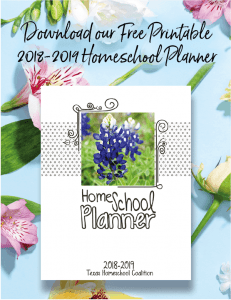 In 1994, the Texas Supreme Court affirmed the right of parents in Texas to home school. So is that ruling what makes us free? If so, then we are resigning ourselves to a rickety foundation for home schooling rights. The problem with relying on the law or the courts as the basis for our right to home school is that both of them can change on a whim. Rather, our right to home school is directly proportional to our involvement in the political, social, and legal processes that protect that right. When our lack of participation results in a loss of home schooling freedom, it will be because we depended on the laws for our freedoms and, in our apathy, left the problem for our children. So what should home schoolers do? As mentioned above, home schoolers could make up 30 percent or more of the voting populace for the Texas runoff election. 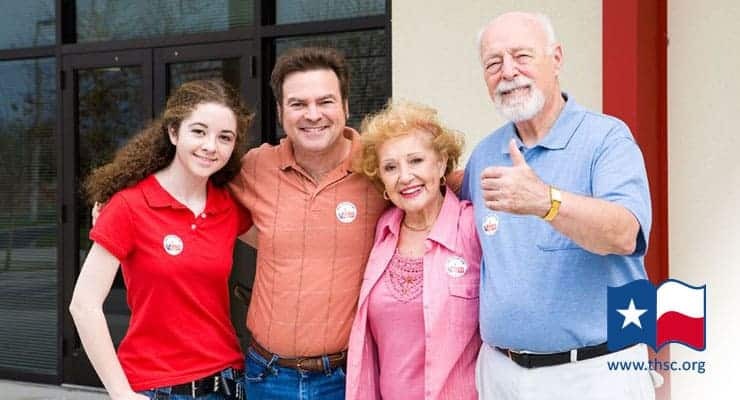 Since a candidate only needs to receive more than 50 percent of the vote to win, this means that we have an opportunity to virtually determine the outcome of the Texas runoff election on behalf of conservative, home school champions. Make sure that you and your friends are registered to vote. Research the candidates who will be on your ballot (there will be far fewer than during a normal primary election). Check THSC’s runoff endorsements before the election for a list of home school and parental rights champions. Find a way to volunteer for a candidate. Candidates can use your help even with a few hours per week. Also, be sure to support THSC’s efforts to Keep Texas Families Free by signing up to receive updates and by becoming a THSC member. When I tried to click on “THSC’s runoff endorsements” above, it took me to a page for registering to vote instead which I already am. The voter registration form is at the top of that page, but if you look just beneath that you will see the endorsements that we have made so far for the Runoff election. Let me know if that helps! Interesting that you are backing B. Hughes. Not sure what experience he has with homeschooling? Children? Family? However, his opponent that you are not supporting, David Simpson, has 7 children & 2 generations of homeschoolers. As you know, so, I find your choice in candidate selection interesting, to say the least. Thank you for your comment. Bryan Hughes has been one of the strongest advocates in the Texas House for parental rights. In 2015 in particular, Bryan was one of the key reasons that THSC’s parental rights bill even received a hearing in the Texas House, and he worked very hard to amend CPS legislation on the House floor to fix issues that THSC had identified with the CPS sunset bill. As you noted, David is a home school dad and is also a strong defender of parental rights. Our decision to support Bryan was made because of Bryan’s consistent efforts on behalf of parental rights and not due to any concerns with David’s candidacy. THSC has always strongly supported David Simpson in the past and continues to believe that he is an excellent State Representative and a strong advocate for parental rights as well.